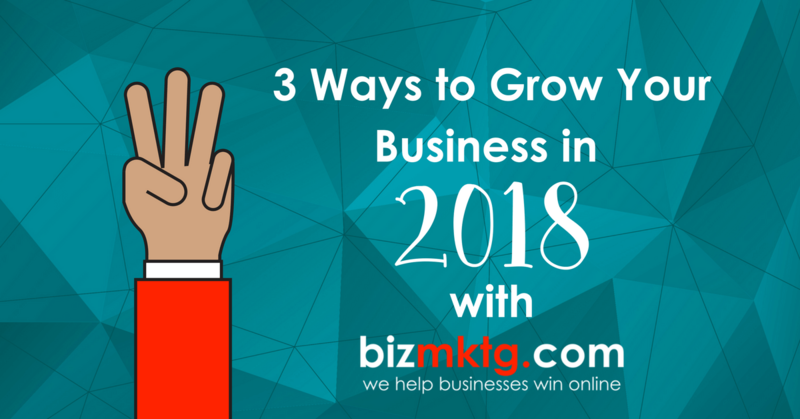 Which business owner doesn’t want to grow their business this year? You know what they say, “if you’re not growing your business, it’s dying.” There is some truth to that. Each year my business, and yours too, will lose at least a few customers through natural attrition. In 2017 we lost a good client who sold quartz, marble and exotic stone counter tops because they were sold to a bigger company that had their own in-house marketing team. Not much we can do about that…except replace them with a new client. #1 Ask your happy customers for referrals. Referrals are one of the top ways to grow your business. Are you asking your happy customers for new customer referrals? If not, you’re missing a big opportunity. Referrals from happy customers are powerful because they are “warm leads” that usually convert to a new customer at a much higher rate than regular leads. Asking for a referral may seem awkward, however, it doesn’t need to be that way. Remember, most people want to help others, so they are naturally disposed to want to help you, especially if there is no real cost to them. The worst thing that can happen from asking is they say, “no.” You won’t get referrals everytime you ask but you won’t get any referrals if you don’t ask. “We’re always looking for more new customers like you.” This sentiment is powerful since people like to feel welcomed, recognized, and like they’re part of the team. This creates a sense of ownership and investment, making the customer want to help out and see your business succeed. “Do you have any friends or family with the same needs/issue?” This question gets your customer thinking of their needs and issue and those they know that may have similar needs. It’s a great thought starter for customers. Mobile future is now reality. There are now more than 200 Million smartphones used in the U.S., mainly Apple iPhones and Android phones. That means that 50%-80% of the visitors to your website are viewing it on a smartphone. Given that reality, is your website optimized to not only allow potential new customers to view your website on their smartphone but interact too? Start by looking at your website on your phone. Is it easy to read the text and view images? Is your phone number easy to find and clickable? How about your contact forms? If you’re not happy with what you see, contact us. We’ll give you an honest assessment of your website for free. Facebook now has more than 200 Million users and Instagram has over 78 Million users in the U.S. The size of both networks combined with the ability to show ads to a highly targeted audience makes this a great way for businesses to reach new potential customers and grow sales. There are several types of ads you can run for your business on Facebook. The two most powerful types of ads on Facebook are “look-alike audience” and “remarketing.” Look-alike ads allows you to upload a list of your current customers, then Facebook finds potential customers with similar attributes and shows your ads to them. Remarketing ads show your ads to potential customers that visited your website in the past number of days but may not have contacted you yet. Contact us to learn more about how Social Marketing may help your business grow. A great way to grow sales is to form a referral partnership with other companies in your area serving similar customers. The referral partners are complimentary to your business and would naturally refer your business to their existing customers. Think about your customers and other businesses they may use before, during or after they use your business. Those are great potential referral partners that may help you grow your business. bizmktg.com is a Seattle-area online marketing company helping businesses win online. Contact us today for a free consultation (800) 808-0249. We’d love to help your business win online too.